The Xiaomi Redmi Y1 is now the best phone for selfie lovers with a budget of under Rs. 10,000. It is a decent performer and has the same qualities we have seen on other Xiaomi phones. The only real compromise is in build quality. The Xiaomi Redmi Y1 packs a lot of what we have seen in this year’s budget smartphones from the company. The Y1 sticks to most of what has worked for the company with an attempt to up the notch a little by including a 16 MP selfie camera. Xiaomi Y1 Review: Best Affordable Selfie Smartphone? Xiaomi Redmi Y1 comes with a 3000mAh battery, which is slightly short of what you’d get on Redmi Note 4 and Redmi 4. The battery can still last for about one day of moderate to heavy usage. Xiaomi still refrains from adding fast charging support for some reason. The Xiaomi Redmi Y1 is a decent smartphone and offers good value for money. It is powered by Snapdragon 435 SoC that’s paired with 3 or 4 GB RAM. The performance of the Redmi Y1 was decent and there weren’t much hiccups. Xiaomi launched the Redmi Note 5A in India and called it the Redmi Y1. It is indeed a very good handset and does well in all areas be it performance, gaming, camera and battery life. A very good buy for those looking for a powerful handset with an affordable price tag and someone who loves taking selfies. 70% Redmi Y1 review: Is this the new budget king from Xiaomi? As I’ve said, the main proposition point with Redmi Y1 is the big display, not the selfie camera. The selfie camera is strictly above average, nothing exceptional. Think of these phones, Redmi Y1 and Redmi Y1 Lite as bigger versions of Redmi 4, though with lesser on board battery. If you are among those who need a big display on their phone, but can’t afford to pay more than Rs 8000 or Rs 9000 consider the Redmi Y1 or even the Y1 Lite. At a starting price of Rs. 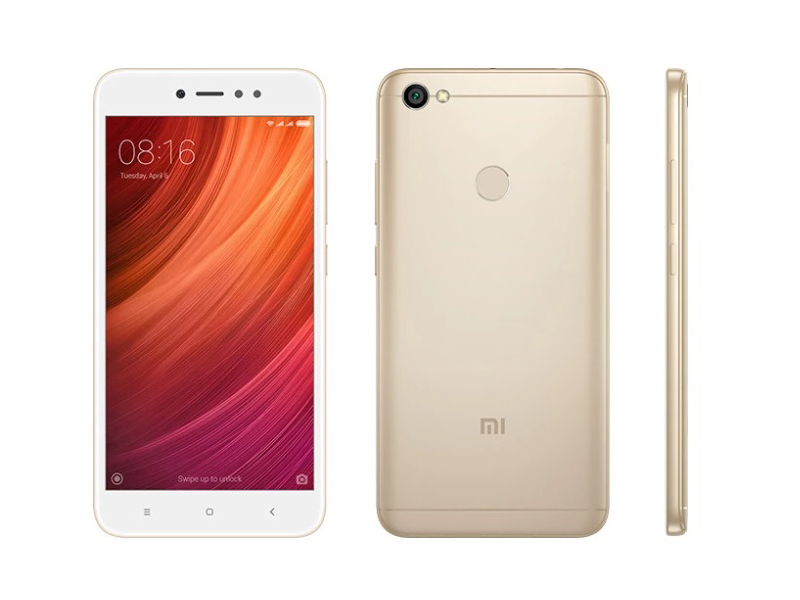 8999, the Redmi Y1 is another value-for-money phone from Xiaomi. Even though you can now get the Redmi Note 4 with 3GB RAM and 32GB storage version with a better 1080p display at Rs. 9999, the Redmi Y1 comes with dedicated dual SIM slots and a microSD slot and a decent selfie camera. Let's make it clear from the outset that if you're looking for a smartphone for clicking selfies then the Xiaomi Redmi Y1 doesn't live up to its promise of being a selfie centric smartphone. Having said that, it still is a good smartphone which has a lot going for it. The build quality is impressive, the vibrant display is a pleasant aspect as is the reliable lag-free performance and welcome software tweaks. What goes against it is the ordinary battery life and unexceptional camera experience. Still, at Rs 8,999, this is a good buy - as long as you aren't buying it to click selfies. Xiaomi's first attempt at introducing some variety in the under Rs 10,000 price segment involves a Redmi phone -- the Redmi Y1 -- with a whopping 16-megapixel camera, an LED flash and smart photo-editing tricks courtesy MIUI 9. If you're in the market specifically looking for a selfie-centric phone and you're on a tight budget, the Redmi Y1 is the one and only option you have right now. That it offers good and fast performance is just the icing on the cake. Xiaomi Redmi Y1 Review: Upping the selfie game? To conclude, the Redmi Y1 does a pretty decent in the selfie department and the performance is in line with the competition. The phone gives a good battery backup, and the latest MIUI 9 has some major improvements. But the design is a tad similar to other Chinese smartphone and the rear camera is not that great. Overall, the phone gives a mixed bag performance and it will face stiff competition with the likes of Lenovo K8 Plus, Xiaomi Redmi 4 and Moto E4 Plus. The Redmi Y1 is Xiaomi’s first attempt at making a selfie-focused phone. The hardware is proven and good enough to run most things you might throw at it. MIUI 9 is smooth and people should find it easy to adapt to. Camera performance is good in daylight but is average in low-light. As for selfies, the flash is helpful and the beautify mode does work a bit, but the output is not always good. Summing up, the Redmi Y1 looks like another winner from Xiaomi stable. It has the right combination of software-based features and hardware. More importantly, it comes at an affordable price tag. It looks like Xiaomi wants to cash in on the selfie craze with its new Redmi Y1. This phone has a proven processor and a good setup for selfies in most conditions. If you are looking for a good selfie phone on a budget, you might want to add the Redmi Y1 to your shortlist. Stay tuned to Gadgets 360 for our full review of the Xiaomi Redmi Y1. After building reputation based on value-for-money offerings, Xiaomi has now built a brand that goes beyond the specifications sheet. Redmi Y1 is a testimonial to the fact that the company has its ears on the ground and knows the pulse of the customers – and their requirements. The Xiaomi Redmi Y1 is pretty lightweight which means you wouldn’t end up with pain in your hand or wrist after using it for longer duration with one hand. The build of the Redmi Y1 is also pretty good and the slight curves along the edges at the back of the phone should make it comfortable to hold. Xiaomi today announced the launch of a new smartphone series designed around people’s lifestyles with Redmi Y1 and Redmi Y1 Lite. To wrap up, the smartphone comes loaded with a pretty much standard design language, though the display looks promising. The selfie camera does a decent job during our initial testing and we will talk more about this in our review. As for the competition is concerned, the smartphone will face a tough competition with the likes of Lenovo K8 Plus, Motorola Moto C Plus and company’s own Redmi 4 and Redmi Note 4. Positive: Nice selfie camera; support both dual sim and memory card slot; fast fingerprint sensor; good price. Negative: Poor display.